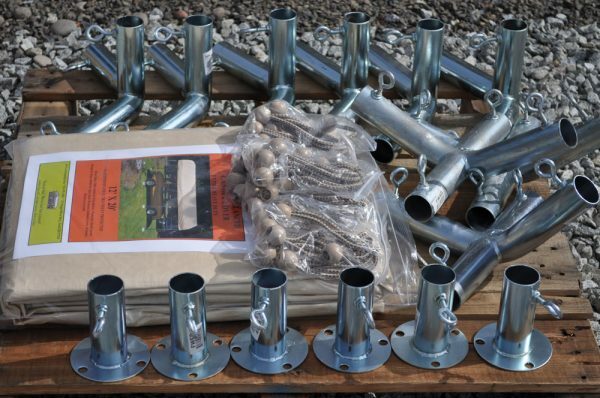 This 10x20 kit with frame is oversized and overweight for standard shipping. Please visit our store, call or email for shipping cost. info@costlesstarps.com – 541-951-2861. Our 10′ X 20′ galvanized steel frame with valanced poly top cover and bungee cords is a great storage solution. 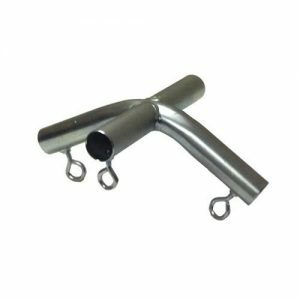 The 20′ length is perfect for a car, truck, boat or equipment. How about an event, outdoor dining, shade or fair. for storing a car. 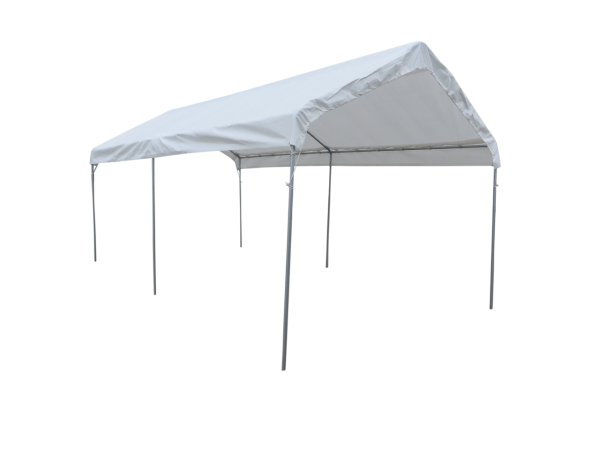 This roomy canopy covers 200 square feet, enough for an outdoor dining event. This frame has a high peak roof to help divert rain, snow and sleet. 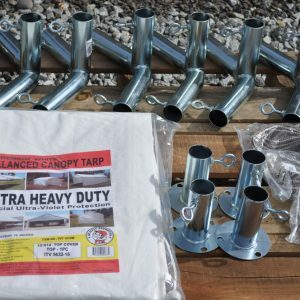 Each top cover is waterproof and comes with ball bungees for attachment. 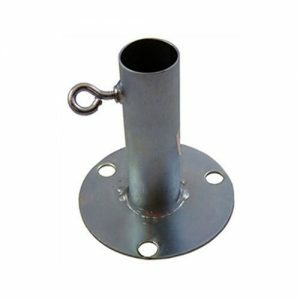 Galvanized steel frame and fittings are durable and will not rust like powder coating over time. Top covers come in tan, silver, white or clear.